...Sign Products to help you succeed! At BeautySigns.com, we offer a full line of sign products designed to enhance the visibility of your salon, increase the awareness and sales of your supplemental services (Nails, Massage, Waxing, etc. ), and add excitement and professionalism to the total salon experience you offer your clientele. We offer Neon Signs, Banners, Window Graphics and many other options designed to help your business succeed. Yes, we make Custom Neon Signs! Buy from the world's largest manufacturer of Custom Neon Signs. From an economical design with letters only, to a large custom neon creation sure to draw lots of attention to your establishment, our professional designers can help you create a sign that is effective and fits your budget. At the bottom of the page is a list of some of our custom design quotes. 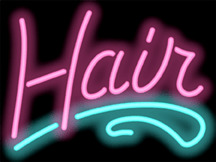 Please call us at 888-526-8321 for a free custom neon sign quote today! � 2010 Jantec Neon Products. All rights reserved.